If your walls could talk, what story would they tell? These aren’t your grandma’s old paper walls. We often bring up wallpaper when meeting with clients, looking to makeover their space, and usually are met with the same reaction. Dead eyes, crinkled nose, curled lip. Then comes the stories, “my parents had the most hideous wallpaper and I will never be my parents…” or “there is no way we can put wallpaper up ourselves? !” Both, completely true. Well, we’re taking their word on their parents taste, that’s not really the kind of family drama we need to get involved in. Either way, just like your style choices in the early 2000’s, things have changed for the better! 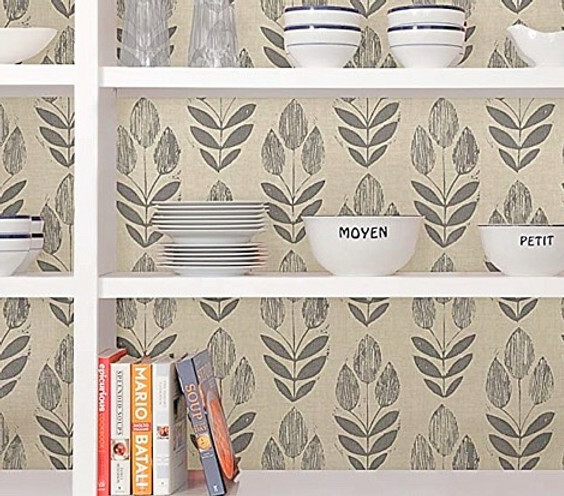 Wallpaper now comes in so many colors and patterns, we dare you not to find one you love. And to make the good even that much better, we have three words for you – Peel and Stick. Yes, you heard that right. If you can peel a sticker, then you now officially can put up wallpaper. With all the variety in options and application now possible for just one person, your room makeover just became the easiest DIY out there. 1. Target – Sorry, but is there nothing this store can’t do? 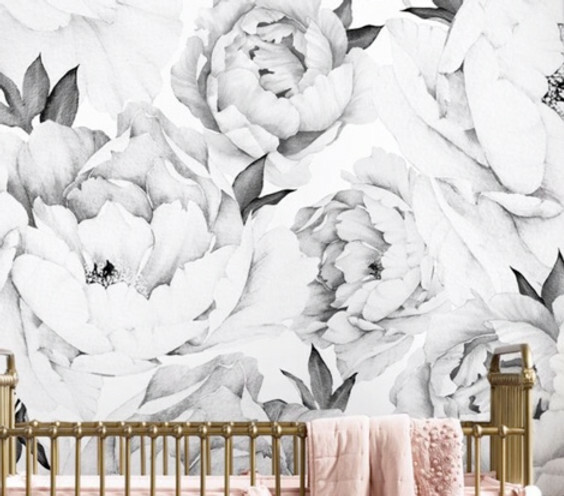 From clothes, to groceries, to toys, to furniture, to decor and now wallpaper! We might seem a little obsessed, but when you’re in a pinch and need a close spot to finish up a project, Target is our go to. 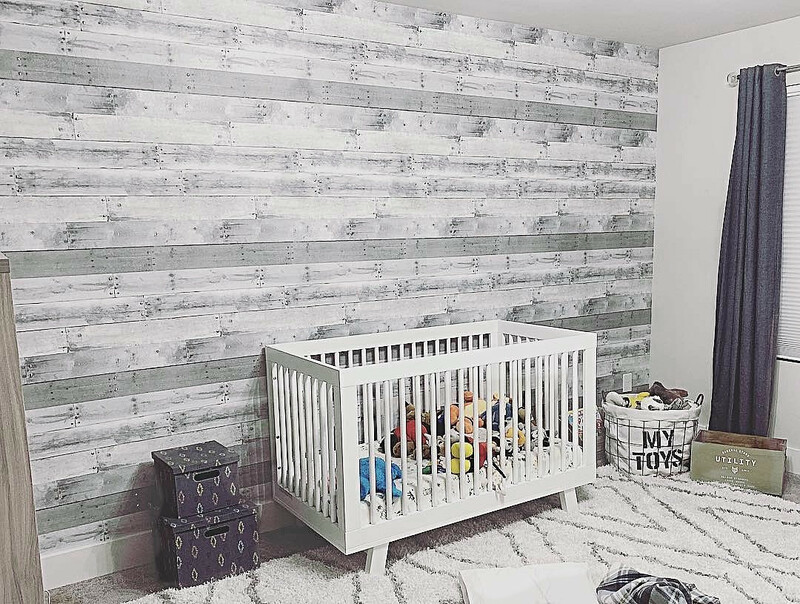 We literally died at how beautiful this distressed wood wall turned out. Full disclosure, we might be a little bias because this is my sons room, and we have used this wallpaper on 3 different projects so far this year 🙂 Check it out here. 2. Amazon – We would be crazy not to put this one as our #2 for everything. Being located in Seattle has its perks, and Amazon is one of them. There isn’t anything they don’t carry, and when it comes to amazing wall decor, they have plenty! Just be careful to search thoroughly. You can find multiples of the same product at different price points from different sellers. It’s a little extra work but it pays $$ in the end to do it. This classic look would be perfect in a breakfast nook. Check it out here. 3. Wayfair – A rabbit hole of options. It might take a few hours to go through most of them, but hey, we never said style doesn’t take work 😉 We are dying to do a nursery with this beautiful floral print. Check it out here. 4. Wallsneedlove – One of our faves when it comes to an organized site. Might not have as many options as others, but they do a great job at quality versus quantity. 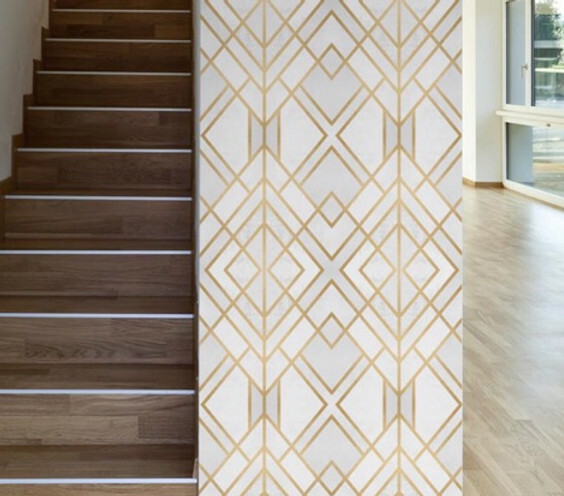 You won’t go wrong with this gold geo print if you want to add a little luxe to your home. We love this in an office or dinning room. Check it out here. 5. SpoonFlower – A Truly custom experience. Use your own design and have it created, or pick from hundreds of others. 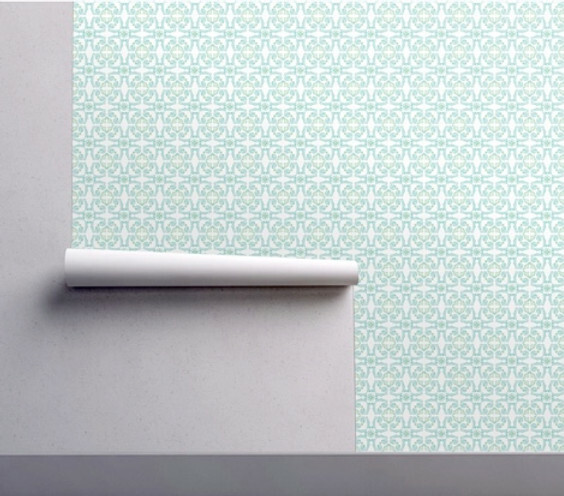 We’re crushing hard for this Moroccan tile pattern in an aqua hue. It screams trendy bathroom! Check it out here.